The Ukrainian KrAZ-6135V6 Truckis an extended bed version of the KrAZ-6322. It doesn’t have the same high level off-road capability, but the extension enables it to carry cargo containers as well as other supplies and troops. 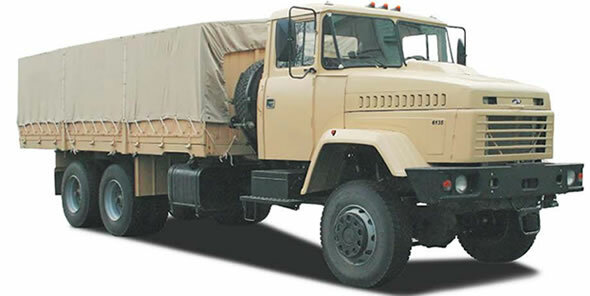 Like all military trucks, it has drop down sides and rear with a canvas cover, which can all be removed.